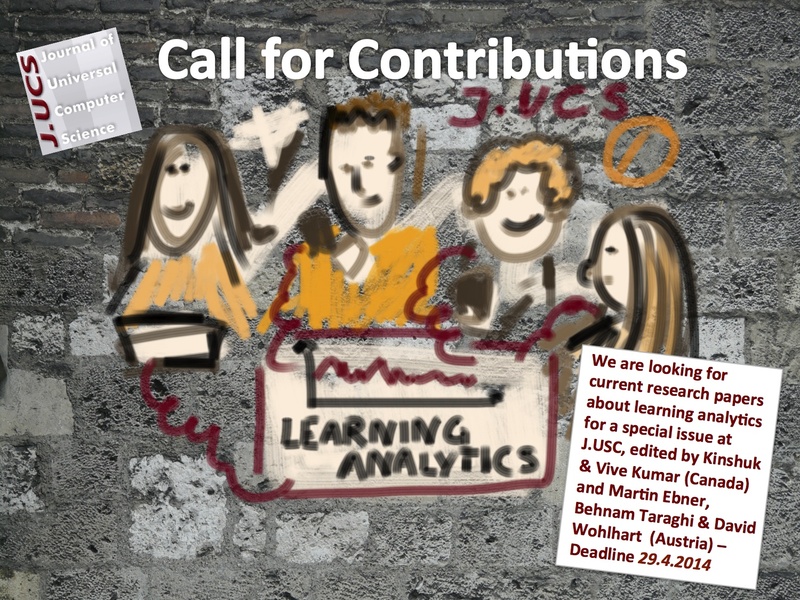 Together with my colleagues from the University of Athabasca and the Private University of Teacher Education Graz I like to call for submissions on the topic “Learning Analaytics“. The contributions will appear as Special Issue of the journal J.UCS (Journal of Universal Computer Science) which is an open access journal and holds an Impact Factor. Please consider to send us a scientific contribution on 29th April 2014 at latest. The detailed call can be found here or at the Journal’s homepage.